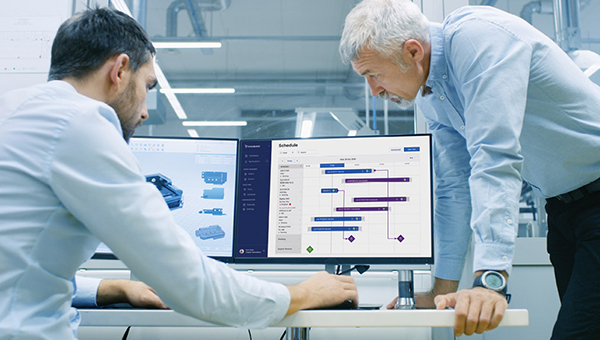 Accurate and timely job scheduling may prove to be even more important to additive manufacturers than to traditional manufacturing companies. Image courtesy of 3YOURMIND. 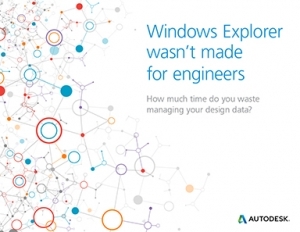 Walk into any manufacturing company and you’ll discover the same set of challenges: Excel spreadsheets containing critical data are stored on the local hard drives of various team members’ systems. CAD/CAM packages whose only integration to the rest of the business is a file share on the corporate server. Enterprise resource planning (ERP) systems that offer visibility to every department in the company, yet are somehow blind to the activities of the factory floor. And product lifecycle management (PLM) software that does a great job of managing product data but keeps that valuable information to itself. Many manufacturers have addressed at least some of these disconnects by implementing manufacturing execution systems (MES), which serve to tie the factory’s equipment and processes to the scheduling system, the design and programming software, the PLM and ERP and overall equipment effectiveness tools that crowd the servers of manufacturers everywhere. Those who can’t afford or don’t see the need for yet another software system might hire a programmer to tie their disparate software together in hopes of an all-encompassing shop floor solution; others simply live with data disharmony, plugging along as best they can until a better solution comes along. 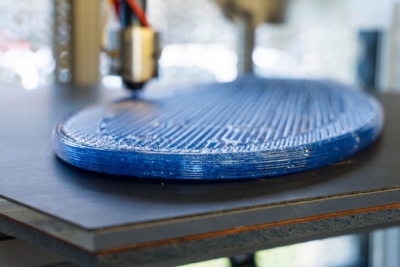 With 3D printing an integral part of the manufacturing landscape, however, the “let’s live with it” approach is quickly becoming untenable. What appears at first glance to be a single step, black box process is actually full of discrete operations and data collection opportunities, including print preparation, build simulation, real-time monitoring and analysis, scheduling across multiple machines and facilities, and post-processing requirements. 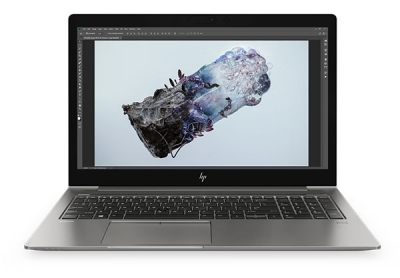 Fortunately, Materialise and other software providers are addressing this need by redefining traditional MES in favor of software products that manage every aspect of the 3D printing workflow. 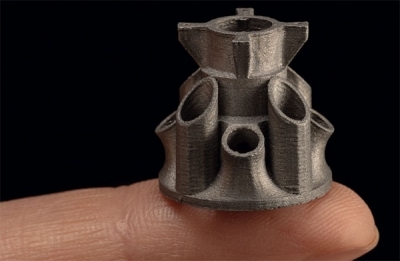 For example, Autodesk is collaborating with additive manufacturing automation provider Authentise to ease the handoff between design and execution. 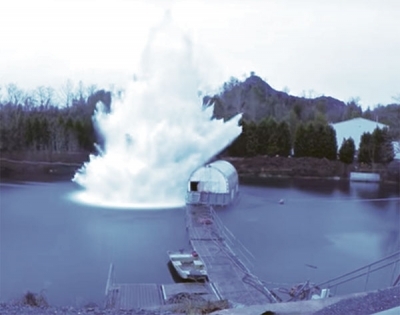 “One of the things that we as a company have observed with additive manufacturing is that it often has a very fragmented workflow, with multiple software packages, multiple data formats and a generally inefficient process,” says Robert Yancey, Autodesk’s director of manufacturing industry strategy. 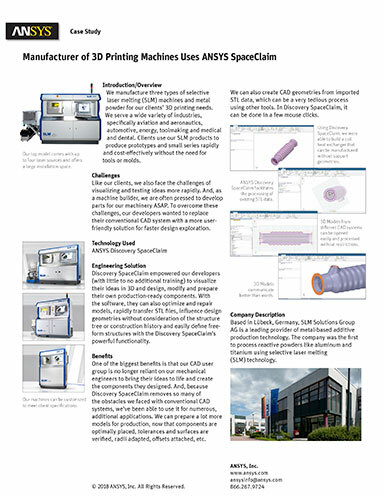 Managing multiple 3D printers across multiple facilities requires robust software systems and seamless integration. Image courtesy of Materialise. 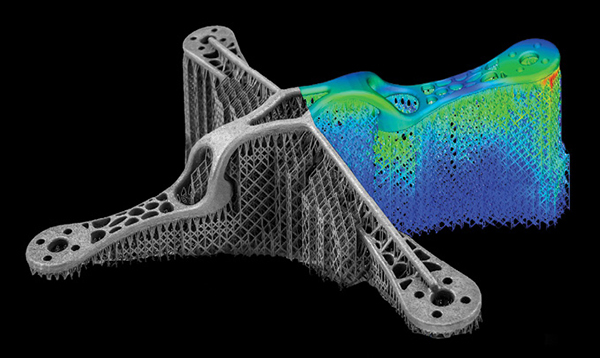 Yancey notes that Autodesk has improved a big chunk of that process with its Netfabb additive manufacturing and design software. Additionally, Authentise has developed a planning system specifically for 3D printing, which allows shops to schedule, monitor and manage every part of the additive manufacturing workflow. The challenge, though, is what happens when the “as-designed” print job needs to be changed on the production floor? 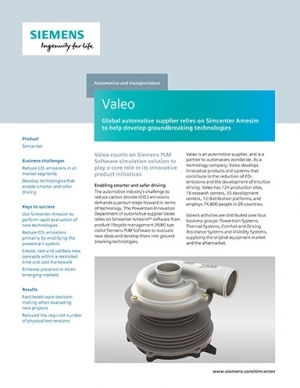 Materialise’s Van den Bogaert agrees with the importance of seamless integration. As an early adopter of additive manufacturing technology and subsequent developer of 3D printing software, Materialise and its employees have learned through challenges what it takes to be successful. Integration is not just about improving production efficiency, or eliminating the chance of duplicate data. There’s also compliance to consider. 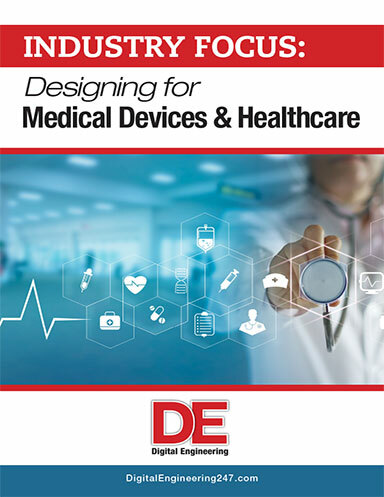 As the aerospace, medical, and indeed any industry with detailed requirements for traceability and product quality adopt additive technology, an integrated production flow is crucial to widespread acceptance of this relatively new manufacturing process. The integration needs to start at the quoting stage and continue through to the product’s end of life. 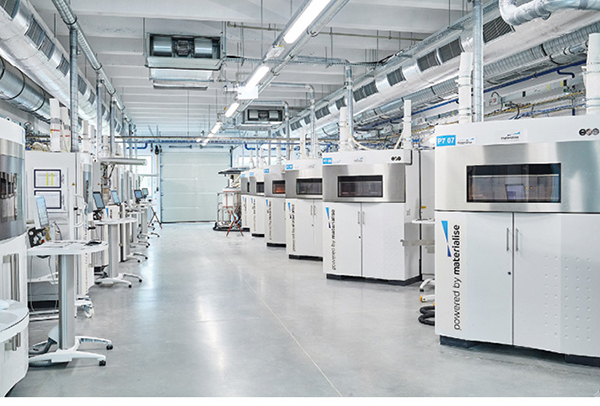 To show further acceptance of manufacturing processes, Materialise has joined the ranks of numerous other additive technology providers by opening its arms to collaboration with what were once considered competitors. An example of simulated distortion and heat buildup during a turbine blade print job. Image courtesy of Siemens PLM Software. One of these companies is Siemens PLM Software. 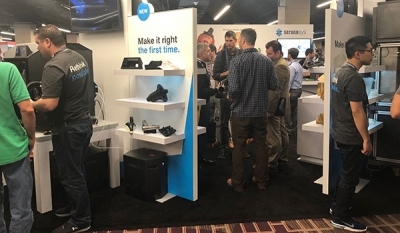 Aaron Frankel, vice president of additive manufacturing software, says the company has developed a “broad spectrum of solutions for the additive space,” including NX, Simcenter and Mindsphere, all of which are designed to manage the manufacturing process, additive or subtractive. 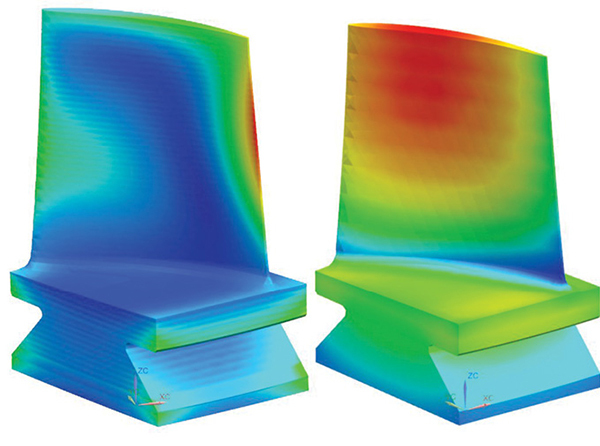 Simulation software is a valuable tool for predicting build process events. Image courtesy of Materialise. Another software provider with its eyes on industrializing 3D printing is 3YOURMIND, which has developed its Agile MES product for managing and optimizing additive workflows. Marketing and product positioning manager Brian Crotty notes that this last part—optimization—is an important but often overlooked piece of the MES puzzle. In these situations, he adds, you need a way to optimize the available build space, schedule the work based on delivery dates, customer priority and machine availability, while at the same time managing all of the relevant production requirements associated with those parts. “As with any type of manufacturing, success is about achieving the most cost-effective method of parts production while assuring the best part quality possible, and a data-driven MES is a big part of that,” Crotty says. Kip Hanson writes about all things manufacturing. You can reach him here.